Each year, on his birthday, Beans on Toast releases a brand new artist album on Xtra Mile Recordings. This year is no different and come the 1st December, Beans’ fifth artist album will see the light of day. The first video to be released from the album (Beans doesn’t do singles), is the fantastic Post Bestival, Festival Blues. Having recently finished his biggest tour to date and selling out over a third of the shows, Beans sets off around the country on a whistle stop tour playing in some of his favourite towns and cities. 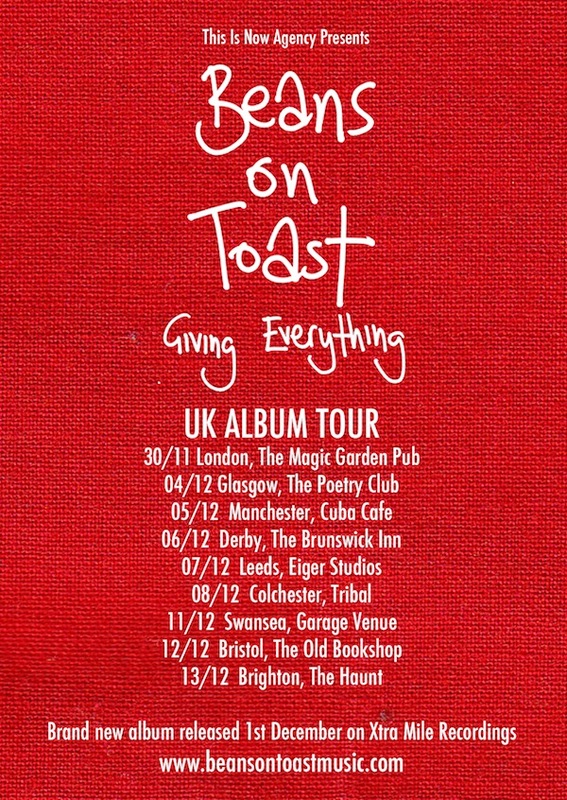 All ticket links can be found on Beans on Toast’s website HERE.